A massive metal list for a massive metal year. Much like the year that came before it, 2017 has been a heavy metal beast, albeit in a very different way to 2016. 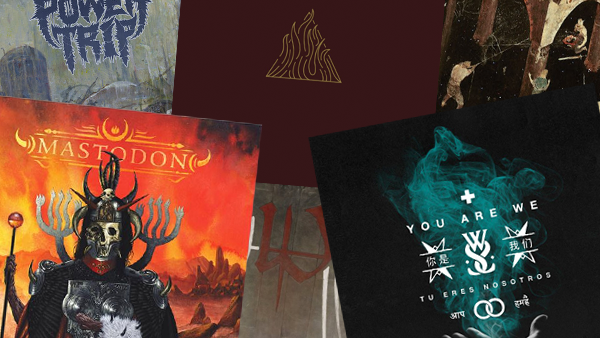 While last year saw gigantic albums from the likes of Metallica and Megadeth, the past twelve months have asked metalheads to look a little bit deeper beneath the surface to find the truly quality material. While groups like Mastodon, Creeper and Stone Sour have affirmed their status as acclaimed yet chart-friendly rock acts, artsy and experimental extremity from the likes of Uneven Structure, Ne Obliviscaris and SikTh has been the true cream of the 2017 crop. As a result, this list goes out of its way to balance out titles from both underexposed and hugely popular bands, in an attempt to demonstrate the sheer versatility and ever-expanding reach of heavy music over the course of the past year. As an addendum, if there’s an album that you don’t find on this list that you think deserves a spot, you might be able to find it in our “20 Best Metal Albums of Winter/Spring 2017” and “20 Best Metal Albums of Summer 2017” articles. Also, EP’s aren’t going to be making the cut, so if you’re waiting for releases like Mastodon’s Cold Dark Place and Schammasch’s Maldoror Chants: Hermaphrodite to get their just deserts, worry not: their time will come very soon.